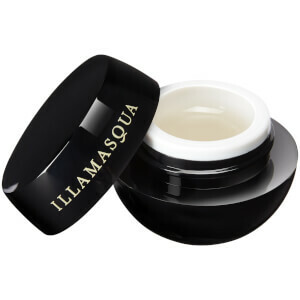 Create striking makeup looks with Illamasqua Aura Multi-Use Top Coat, a versatile highlighter that can be used to add three-dimensional shimmer to eyes, lips and cheekbones. Infused with opalescent particles for a shimmering rainbow effect, the smooth formula glides effortlessly onto skin, delivering an ultra-luminous highlight with show-stopping glow. It lays down a crystalline film that sets instantly for long-wearing, comfortable results. Apply over makeup to eyes, lips and cheeks for a striking highlight effect. Isododecane, Mica, Cera Alba (Beeswax/Cire D’abeille), Trimetylsiloxysilicate, Bis-Diglyceryl Polyacyladipate-2, Polybutene, Dimethicone, Silica Dimethyl Silylate, Disteardimonium Hectorite, Cyclohexasiloxane, Hydrogenated Styrene/Isoprene Copolymer, Cocos Nucifera (Coconut)Oil, Parfum (Fragrance), Tocopheryl Acetate, Pentaerythrityl Tetra-Di-T-Butyl Hydroxyhydrocinnamate, Ci 77891 (Titanium Dioxide), Ci 75470 (Carmine).